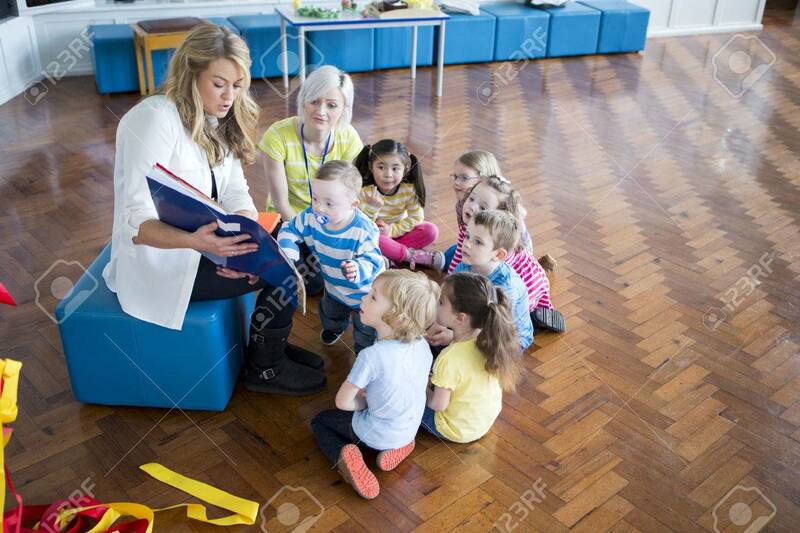 Small Group Of Nursery Students Sitting Around A Teacher In Their School Hall. She Is Reading A Book To Them. Royalty Free Fotografie A Reklamní Fotografie. Image 60256028. Reklamní fotografie - Small group of nursery students sitting around a teacher in their school hall. She is reading a book to them. Small group of nursery students sitting around a teacher in their school hall. She is reading a book to them.